Soak brown rice with sufficient water for 1 hour. presser cook with 2 cups of water for 4 to 5 whistle or till done. Heat oil in kadai, add mustard seeds, let them crackle. 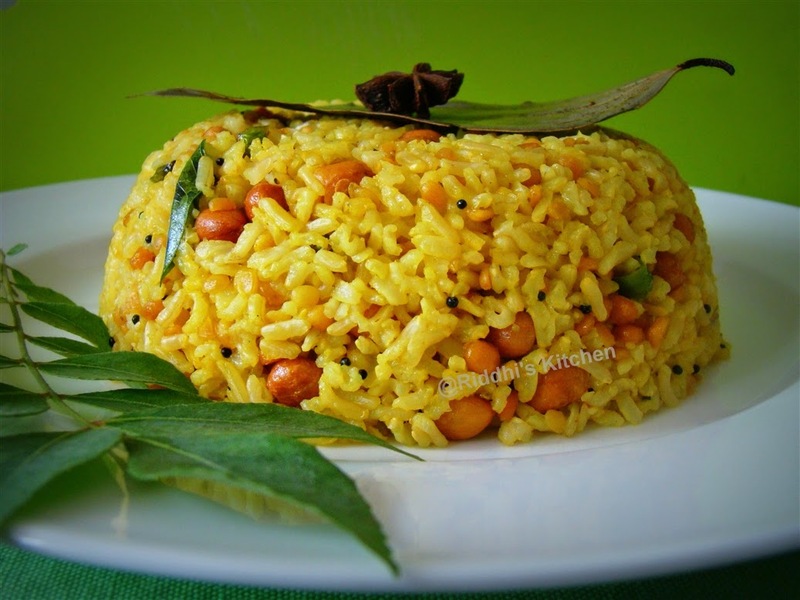 Add chana dal, urad dal, peanuts and let them become light brown. Add green chilly, curry leaves, hing, turmeric powder and mix well. Add boiled brown rice, salt, and mix well. Cook for 3 to 4 minutes, keep stirring occasionally. Add lemon juice and mix well. Garnish with bay leaf and star anise.